The Old Appearances page, which I've kept so you could see where I've been. I'll be covering topics from my two (2!) 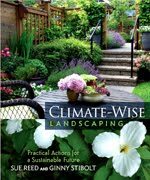 new books "A Step-by-Step Guide to a Florida Native Yard" and "Climate-Wise Landscaping: Practical Actions for a Sustainable Future." Normally, I give presentations only during book tours, so now is the time to contact me to make a date for your organization. 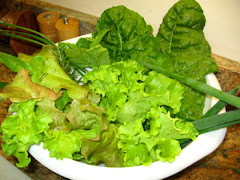 So follow this blog or follow me or the Sustainable Gardening for Florida page on Facebook. where I'll be announcing the next tour. I'm presently working a few more book projects for University Press of Florida, so more tours will be coming. Thanks to Keren Giovengo (left front) for organizing this great event. I gave a 3-hour workshop on maintaining native landscapes for the Sustainable Land Use Program, University of Georgia in Brunswick, GA. 42 people (maximum allowed for the room signed up. I gave a presentation on Rain Gardens in Florida as part of the 2016 Florida Native Plant Society conference in Daytona Beach, I'd guess about 100 people attended my presentation, but I did not get a photo of the group. 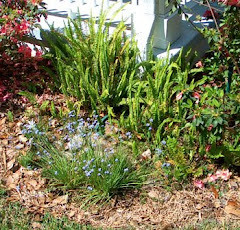 Here's a link to my post on Rain Gardens on the FNPS blog. Also, I was honored to accept a very special Silver Palmetto Award for service. Part of the reason given for this award was all the presentations that I gave for FNPS chapters at their meetings and other special events. I'd like to thank those chapters for all their hard work on behalf of Florida and her native ecosystems. The fall 2015 book tour (Aug. 31st through Nov.10th) was wonderful. Thanks to everyone who organized these events. The #FloweredShirtTour was in celebration of the release of The Art of Maintaining a Florida Native Landscape, I made myself available for speaking engagements for 11 weeks. I scheduled 35 events in that time. Whew!! Some of the events are listed here. Speaker at Paynes Prairie FNPS Chapter. 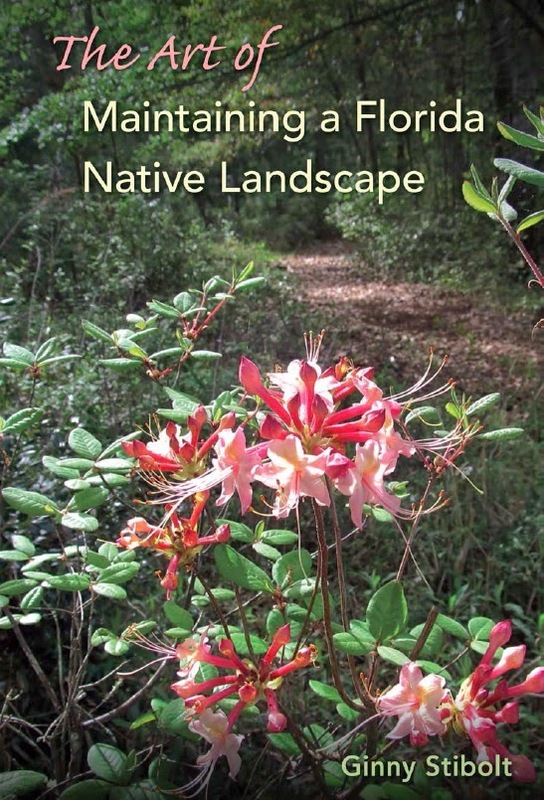 This presentation covers topics from The Art of Maintaining a Florida Native Landscape. Free and open to the public. This was a great event, 50 people came, they asked good questions, and they bought a lot of books. Thanks to the Paynes Prairie Chapter for organizing it and doing great things. Speaker at Coccoloba FNPS Chapter. 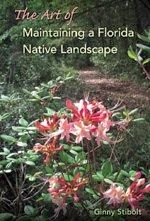 This presentation covers topics from The Art of Maintaining a Florida Native Landscape. Another great FNPS group.. Yay! 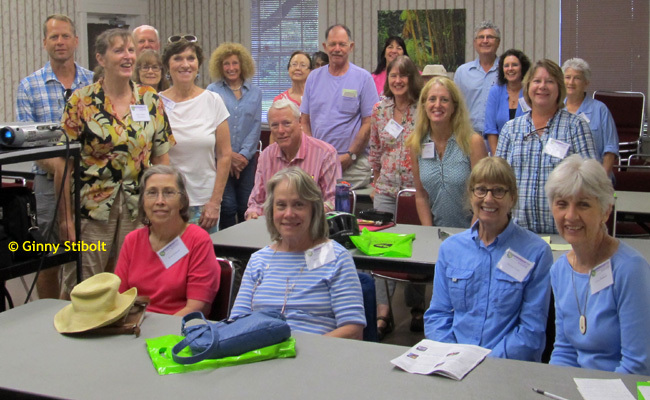 Leading a 3-hour native plant workshop "The Art of Maintaining a Florida Native Landscape" sponsored by the of Bonita Springs in Lee County. Another great group learned some stuff about native landscaping. 3 hours allows for more in-depth immersion. 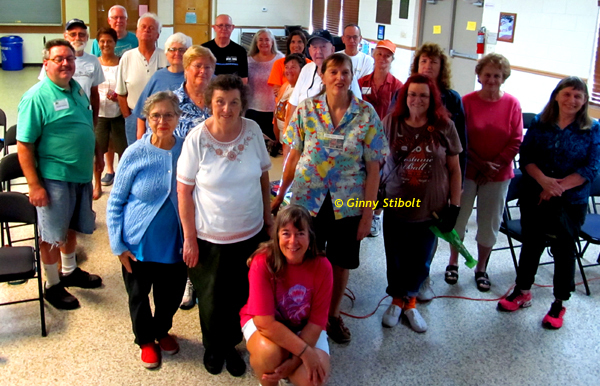 A few people also attended the FNPS chapter meeting the previous evening, but mostly this group was new. About 70 people, mostly land managers attended this workshop. 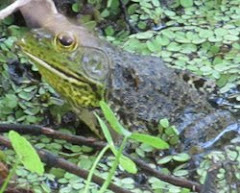 Speaker at the Lyonia Environmental Center. This presentation covered landscaping for birds and pollinators with native plants and sustainable gardening methods. In addition to the public event, which was well-attended, I'd also organized an all day workshop for the FNPS council of chapters. There were lots of great ideas. Speaker at the Sarracenia FNPS Chapter meeting. 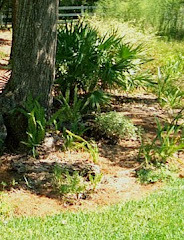 This presentation covered topics from "The Art of Maintaining a Florida Native Landscape"in Crawfordville, FL 32326. This was the farthest west event in this tour. 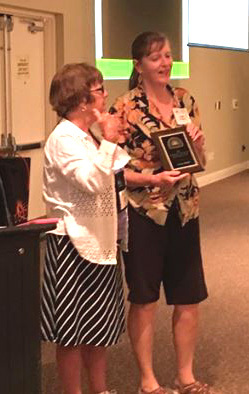 Speaker at the Florida Local Food Summit organized by FOG (Florida Organic Growers). My topic was 101: Intro to Organic Farming. I summarized this fabulous event here. I was the co-presenter for this session. Rick Martinez (in the blue shirt) talked about the difference between gardening and farming (hint: If you are large enough to require a tractor with various attachments, then you're a farmer.) with good suggestions on how to get started. Speaker at The Villages FNPS Chapter. Speaker at the Wildflower Symposium at Leu Gardens. Registration was limited to 40 people and we did fill the Garden Cottage. More came in after the photo was taken. Speaker at an event at Crystal River Preserve State Park organized by the Citrus FNPS Chapter and others. 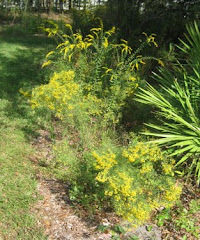 The presentation celebrated the beginning of Native Plant Month in Florida. 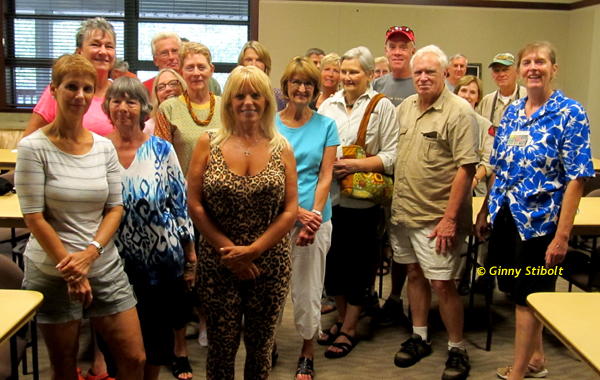 More than 40 people came on a Thursday afternoon, most had never been to a native plant society function before. 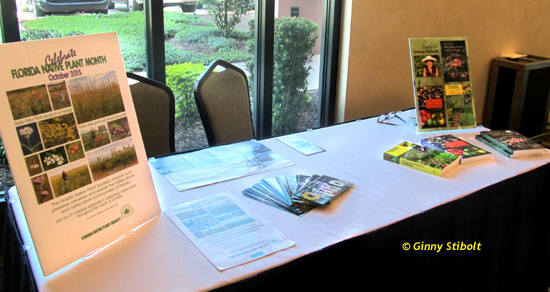 Signing books at the Working on the Green Sustainability Summit. This event gave people from schools, government, businesses, and communities a chance to network about green issues. 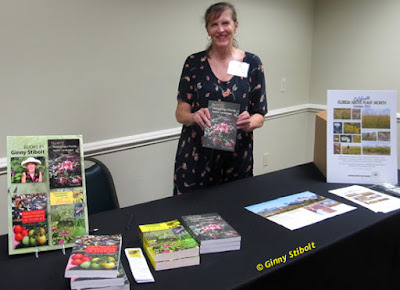 I talked to a lot of people about my books and about the Florida Native Plant Society & Native Plant month. I was especially pleased to have had breakfast with Eric Draper, president of the Florida Audubon Society. - I participated in the author signing at Lakeside Inn on Friday evening. 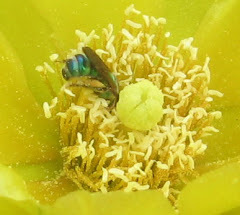 - I gave 2 presentations on Saturday at the Wings & Wildflower Festival at Venetian Gardens. This was the afternoon session on butterfly gardens, a last minute request because the original presenter had had a family emergency. Speaker at the Hernando FNPS Chapter meeting in Brooksville, FL. I love meeting folks from the chapters. some I see at state-wide meetings, but others stay local. This chapter has a number of projects, including the plantings around the manor house at Chinsegut Hill. Fun to see. I led a 3-hour native plant workshop "The Art of Maintaining a Florida Native Landscape" sponsored by the Cocoplum FNPS Chapter at Morgade Library in Stuart. I gave a presentation at Vero Beach Book Center And Maple Tree Natives sold plants to lots of the attendees as they left the store.. It was a pretty good crowd for a Sunday afternoon. Again more than 70 came. What fun. This was another fun group. 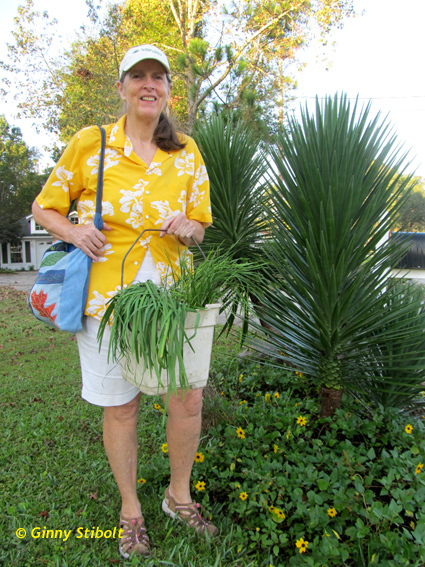 I led a 2-hour class on native gardening in St. Augustine organized by Renee Stambaugh of Native Plant Consulting. 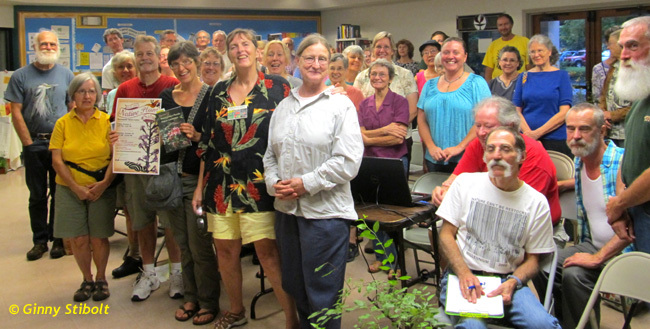 Renee hosts monthly classes on native plants, so it was fun to lead this one. She also brought some beautiful fall blooming plants, which sold like hotcakes. I sold a lot of books as well. 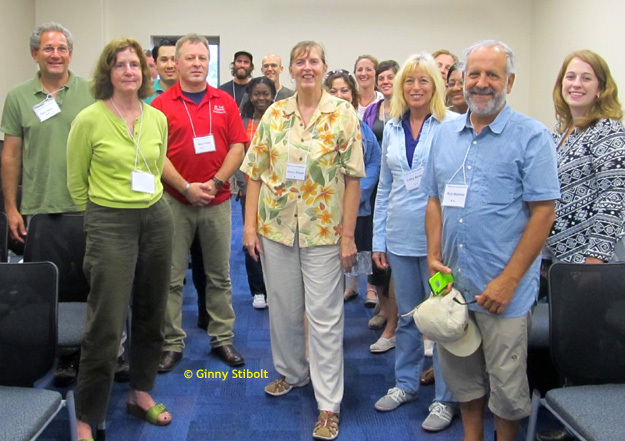 I was the speaker at the Ixia FNPS Chapter meeting in Jacksonville. While this may look like just another stop on my #FloweredShirtTour, Ixia is my home chapter, so it was nice to see everyone. 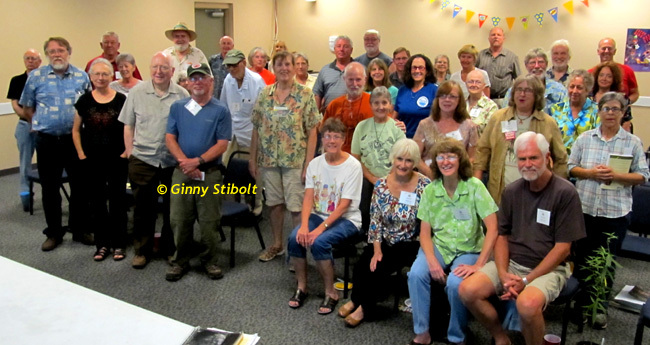 I gave a presentation at a plant sale event sponsored by the Nature Coast FNPS Chapter. At Land O'Lakes Community Center. 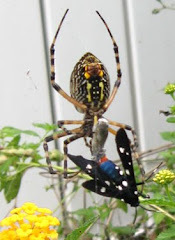 Presentation, "Inviting Birds to your yard with Native Plants" at the Corkscrew Swamp Sanctuary. I signed books at the statewide Master Gardeners conference in Kissimmee. 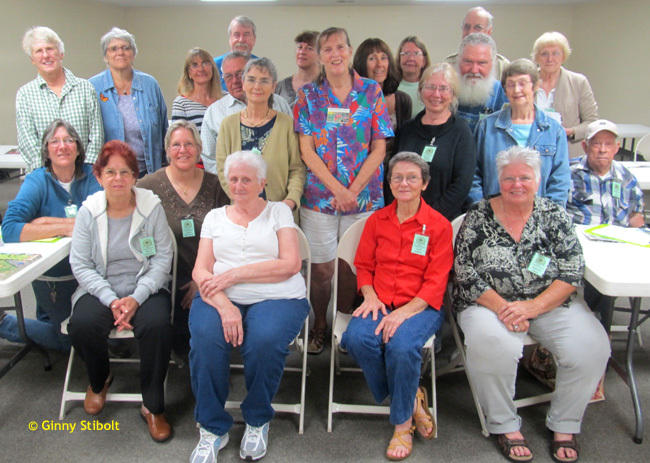 Master Gardeners volunteer their time for many projects and events. Lots of important stuff is accomplished by these dedicated folks. This was my post at the Master Gardener Conference. I wrote about it here. 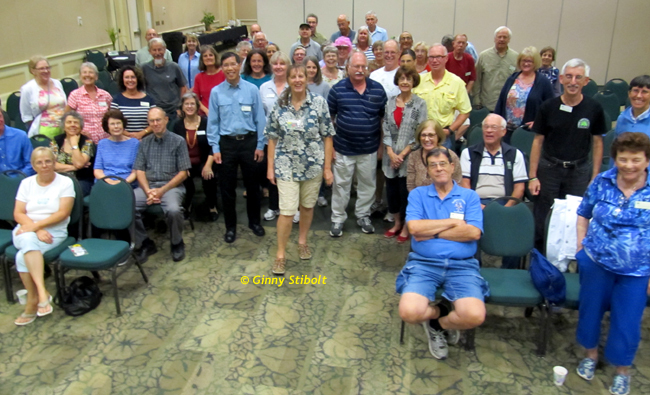 My presentation at the Sea Oats FNPS Chapter meeting in St. Augustine Beach, was well received. 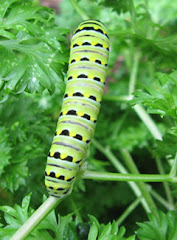 And they offered wonderful snacks made from native plants, a dollarweed & dill dip and a monarda & lemon cookie. It was a beautiful day at Mead Gardens. We ended up with 30 or so people coming to my presentation at the barn. It was hard to drag people away from the plants and all the wonderful vendors. 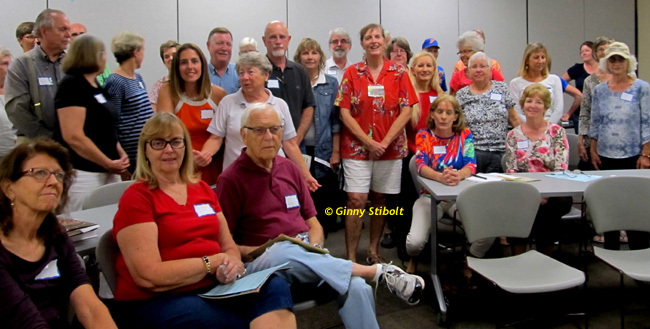 Speaker at the Marion Big Scrub FNPS Chapter meeting at the Belleview Public Library in Belleview, FL. Before the meeting, the library administrator took me out to show me the native garden that this chapter installed and is maintaining. He was quite excited about all the activities that they'll be able tie to the gardens. It was a good turnout for the meeting, too. I was a vendor at the Orange Park Farmers Market. It was a beautiful day, I talked with many people, handed out brochures for the Florida Native Plant Society with the message that we think that Florida should look like Florida and not Hawaii, and I sold some books. For people who bought books, I handed out native meadow garlic (Allium canadense) and garlic chives (A. tuberosum) for their herb gardens. A last minute event on the #FloweredShirtTour. 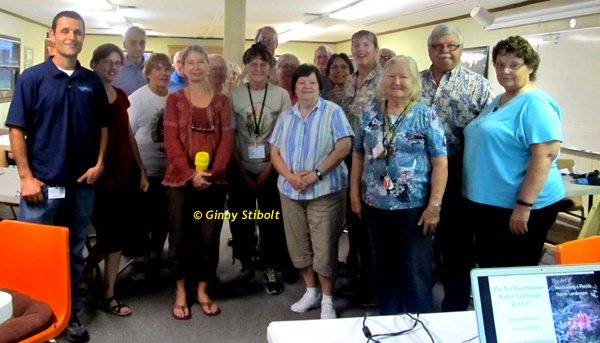 I was the speaker at the Tarflower FNPS Chapter meeting. There was a good crowd in Orlando. I was a speaker at a special event organized by the Lake Beautyberry FNPS Chapter. This presentation was, "The Role of Native Plants in your Sustainable Garden." This diverse crowd included Master Gardeners, young farmers, Native Plant Society members and others. A small group came inside to hear my talk. There were lots & lots of activities for kids, demonstrations, and guided nature walks. Fun! 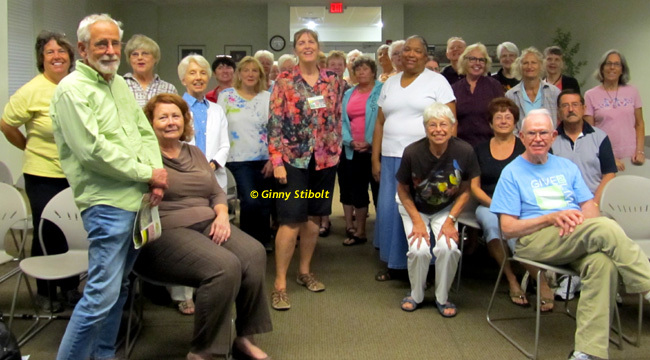 I was a speaker at The Sparkleberry FNPS Chapter meeting at Hatch Park Community Center in Branford in Suwanee County. This chapter serves several rural counties, but we had a pretty good crowd. I had one last flowered shirt for this event.